Last summer I made some "Full Auto Fun" videos and well... I had a lot of fun making them and of course shooting the full auto airguns. So I got to thinking I should make some more Full Auto Fun videos again this summer, at least for some of the new Full Auto guns I have not made these videos for yet. Perhaps the last of my 4.5mm Steel BB Dull Auto Fun Video? We'll see? 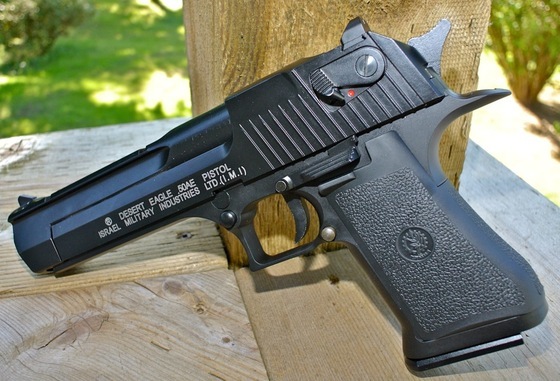 Today I take out my Umarex EBOS (Electric Burst of Steel) 8 Round Burst BB Machine Gun and again take aim at a bunch of clay pigeons I set up 30 feet away. Even thought the EBOS does not have the highest rate of fire with only 500 rounds per minute, it does get the job done because it stays true on target and really proved to be very accurate allowing me to even trim off the smallest bits of clay pigeon stuck in the edges of the holders. The rate of fire on the Umarex E.B.O.S. almost reminds me of what you would hear or expect from an AK 47 type machine gun. Only a few more Full Auto Fun Videos left to do for you, todays features the Umarex Steel Force which is basically an updated version of the Steel Storm but instead of having an H&K styled outer shell, the Steel Force is based around the popular AR 15 series and like many modern AR 15's, the Steel Force has an adjustable stock which really helps with target acquisition and accuracy. Like my other Full Auto Fun Videos, I take out a bunch of clay pigeons from about 30 feet away. The Umarex Steel Force proves to be very accurate and CO2 efficient (got about 300 shots from the pair of 12 gram CO2's) but is a bit of a pain to reload the spring fed 30 rounds magazine when the 300 round BB hopper is full. 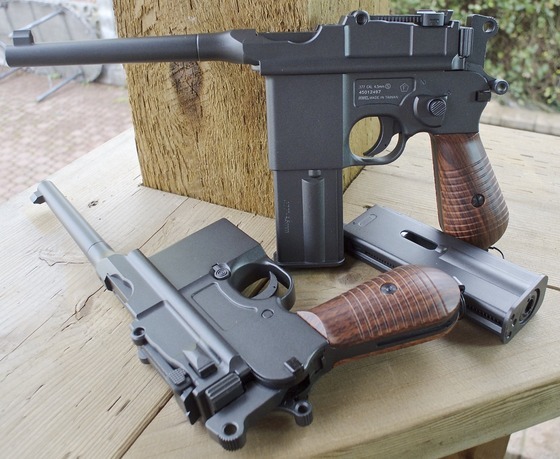 All in all if you'er looking for a low cost and super fun BB machine gun with a high rate of fire, good CO2 efficiency, awesome pinpoint accuracy and pretty decent power, then pick yourself up one of our Umarex Steel Force BB Guns! Alright, so todays Full Auto Fun Video may be stretching things just a bit but I figured that since my Umarex Walther SG 9000 does have the ability to shoot 3 rounds with each pull of the trigger that we'll give it the benefit of the doubt and include it in this round of Full Auto Fun Videos. 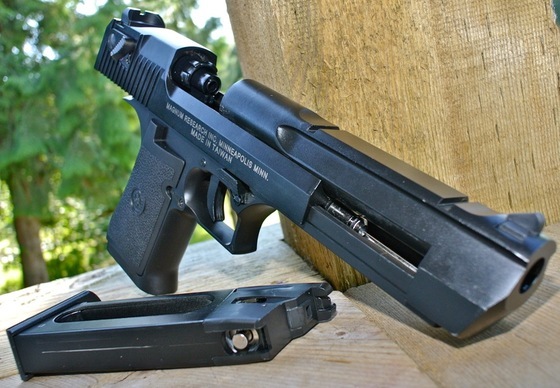 The Walther SG 9000 is a kind of different looking airgun, the back half looks like a Walther Pistol while the front half is more of a tactical styled shotgun. And like a shotgun you can shoot multiple BB's with one shot. You actually have teh option of shooting single shot or three shot burst. In single shot mode, the Walther SG 9000 is pretty peppy shooting at around 500 fps on a fresh and warm 88 gram CO2. When you switch the SG 9000 over to three shot burst mode, it does slowdown somewhat closer to the 250 fps range so not really that great for any serious penetration. 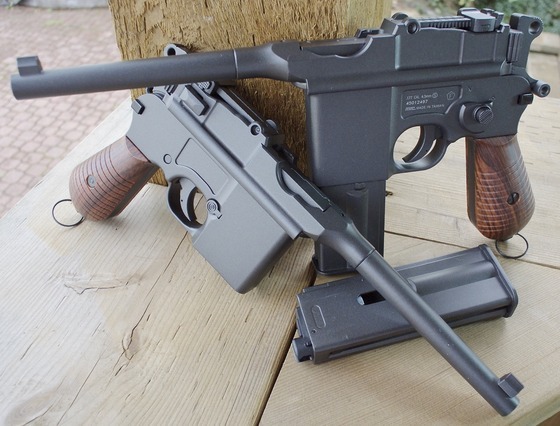 I am sad to say that Umarex does not seem to make the Walther SG 9000 anymore so if you're looking for one you may have to settle for a used on if you can find an owner willing to give it up. 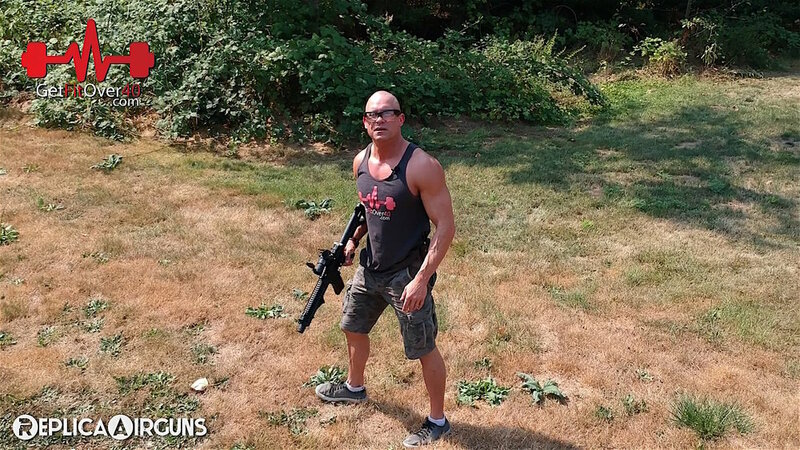 Today's Full Auto Fun Video features the Umarex Steel Storm CO2 (Internal) Blowback Semi Auto and 6 Round Burst BB Gun. In my books any gun that can shoot at least 3-6 rounds for every pull of the trigger is full auto in my opinion. I tend to shoot in short bursts even if the gun is truly full auto since holding the trigger down till the mag is empty just means you have a lot of down time reloading on your hands. I prefer short controlled bursts because they are more accurate and you can make corrections if need be. You also use less CO2 giving the gun and CO2 a chance to warm up a bit between bursts. The Umarex Steel Storm has been in my collection of a while now and was the first out of the box full auto BB gun I reviewed on my YouTube Channel. Version 2 of the Steel Storm is the Steel Force which shares many mechanical attributes to the Steel Storm but the Steel Force (externally) is modeled after the AR platform and has the addition of a multi-position AR styled stock which does help with target hold and accuracy. I will be shooting the Steel Force in an upcoming Full Auto Fun Video so stay posted for that one! Yes! More Full Auto Fun Videos on the way and to kick of this week I shoot my ZMZ Tyrex PPA-K-01 Full Auto BB Gun. If you're not aware of the background on this very hard to get ahold of Airgun, I bought it new from another collector and imported it into Canada. I Paid an arm and a leg for it because the Tyrex PPA-K-01 is really hard to find here in Canada and the US, new or used. 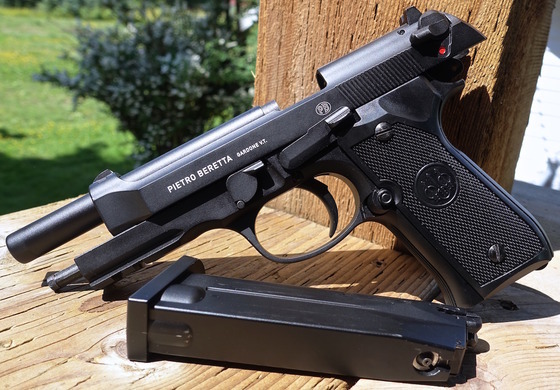 The ZMZ Tyrex PPA-K-01 is a super close copy of the Kedr PP-91 (9 x 18 mm Makarov), also made in the same Russian ZMZ factory. 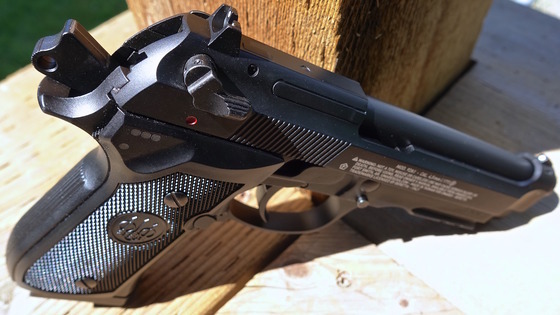 So like my Baikal Makarov, the BB version and real steel version are made side by side and both guns use weapons grade steel and some parts from the real guns. Nothing of course that could be converted to a real gun. 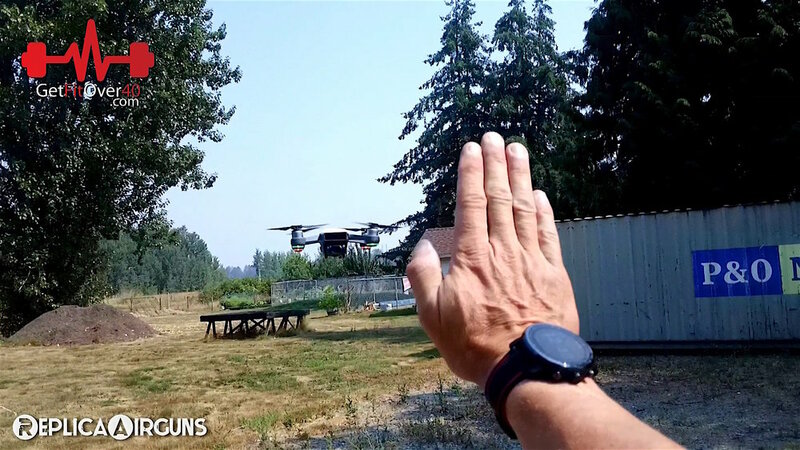 As with my other Full Auto Fun Videos, I shoot up a bunch of clay pigeons and record all the fun using several cameras from several angles and points of view. The ZMZ Tyrex PPA-K-01 Blowback CO2 Full Auto BB Gun has a very high rate of fire and sounds like a real machine gun but much quieter of course. 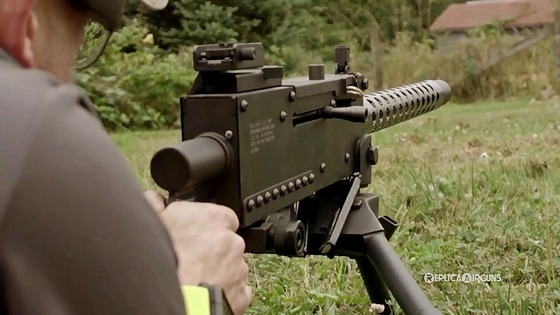 It is also surprisingly accurate as you will see in this Full Auto Fun Video!